I am happy to share that I have passed the CyberSec First Responder (Exam CFR-210) certification! The CyberSec First Responder (Exam CFR-210) certification is designed for security professionals who are interested in pursuing a career in the defensive aspect of security. For example, to work on tasks such as to perform an analysis of threats, to design a secure network environment, to defend a network or to investigate a security incident. 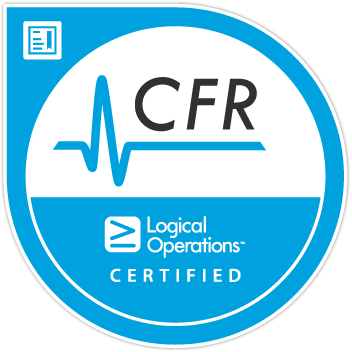 Check out the official website of the CyberSec First Responder (Exam CFR-210) certification to read more about their official introduction. My current job as a penetration tester is focused on the offensive aspect of security, which is also the first area where I started my career in the information security industry. Now, I still enjoy the offensive side of security very much. As a penetration tester, it is almost mandatory to have the Offensive Security Certified Professional (OSCP) certification, so if you like the offensive side of security, go for their Penetration Testing with Kali (PWK) course and “try harder”, the examination is hands-on and the number of things you get to learn from it is enormous. If you’re interested, check out My OSCP / PWK Course Review where I share my OSCP journey and also some tips to pass the exams and also to get started more effectively. I have been working in the IT industry for over 5 years now, of which over 2 years were in the information security industry. I hold the following security certifications before I passed my CyberSec First Responder (Exam CFR-210) certification: OSCP, CREST CRT, CPSA, CEH.